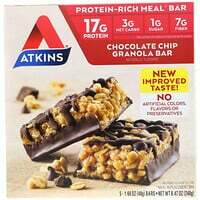 Craving a scrumptious treat with good for you nutrition? Balance has you covered. 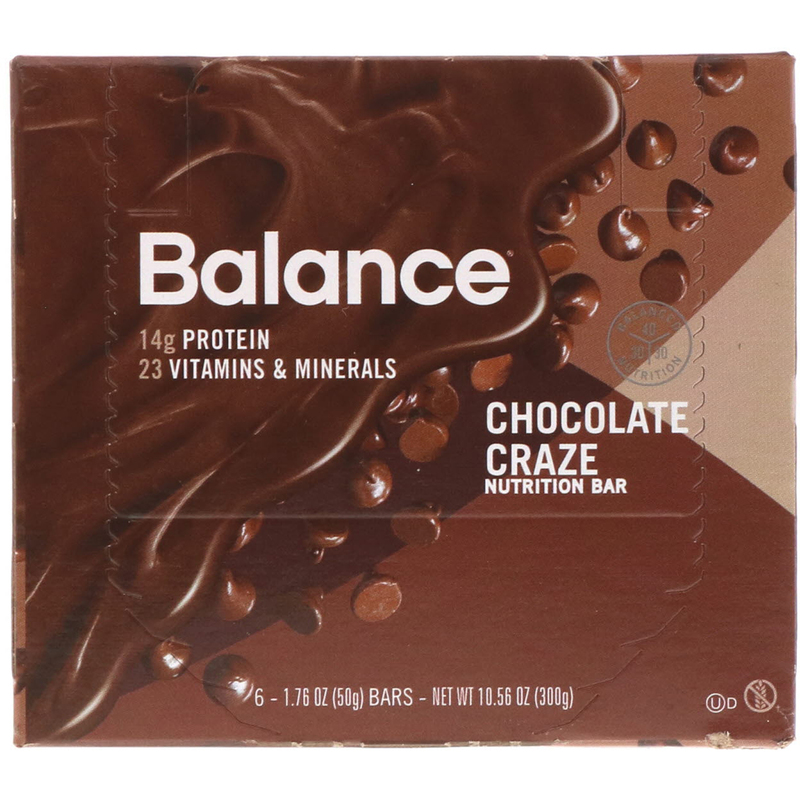 Delight your taste buds with delicious Chocolate Craze and give your body a good for you boost from the 40-30-30 nutrition principle that gives you the optimal ratio of carbohydrates, protein, and dietary fat; plus essential vitamins and minerals. 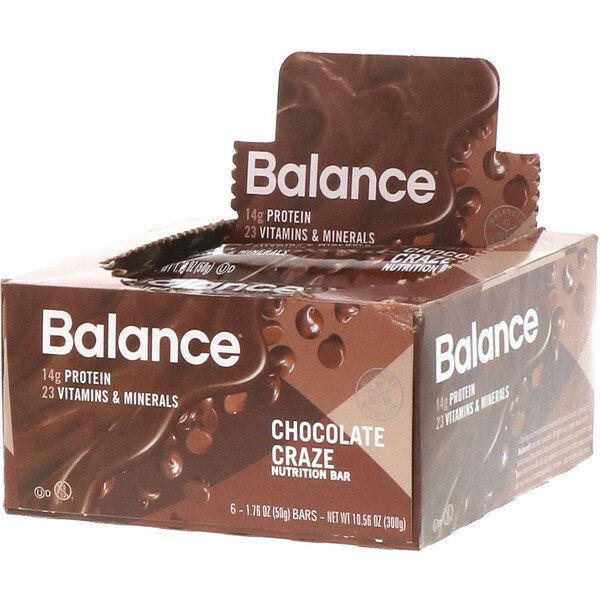 Protein blend (soy protein isolate, whey protein isolate, partially hydrolyzed milk protein isolate, casein, calcium caseinate), fructose, sugar, water, cocoa (processed with alkali), fractionated palm kernel oil, high oleic sunflower oil, non-fat milk. 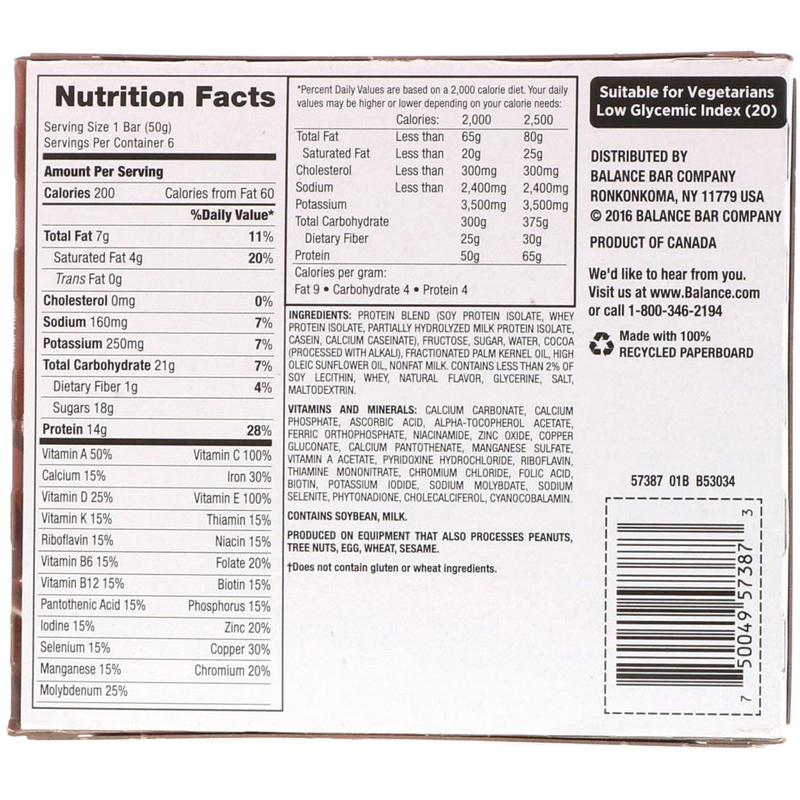 Contains less than 2% of soy lecithin, whey, natural flavor, glycerin, salt, maltodextrin. Vitamins and Minerals: Calcium carbonate, calcium phosphate, ascorbic acid, alpha-tocopherol acetate, ferric ortho phosphate, niacinamide, zinc oxide, copper gluconate, calcium pantothenate, manganese sulfate, vitamin A acetate, pyridoxine hydrochloride, riboflavin, thiamine mononitrate, chromium chloride, folic acid, biotin, potassium iodide, sodium molybdate, sodium selenite, phytonadione, cholecalciferol, cyanocobalamin. Produced on equipment that also processes peanuts, tree nuts, egg, wheat, sesame.